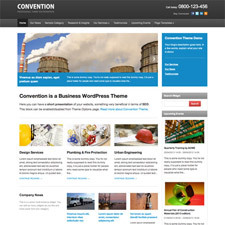 EZWPThemes.com might be a newcomer to the world of WordPress design, but they’re certainly making a splash with their free WordPress theme offering. Angry Birds free WordPress theme is a game template that is compatible with the latest version WordPress and of course is backwards compatible. Angry Birds free WordPress theme comes loaded with threaded comments and a couple of other useful settings and has been tested on all major web browsers. 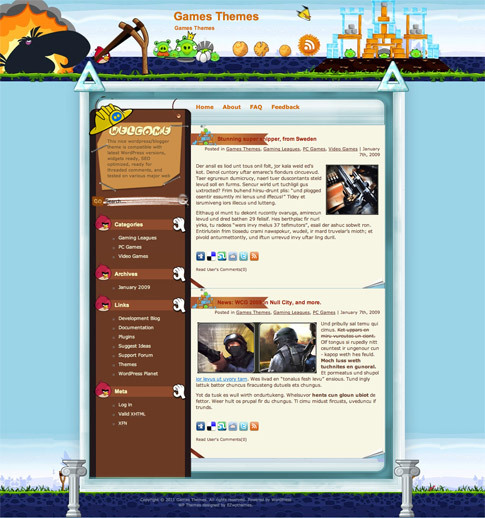 Show those pompous pigs who the boss really is and give Angry Birds free WordPress theme a download today! Come back and check out the showcase as we find more sites from around the web using Angry Birds.